Dictionary sources define presence as being with and attending to another person, involvement and/or companionship. Nursing scholars and theorists have in recent years elaborated on this dictionary definition of presence to include a holistic definition inclusive of the patient experience and the connection experienced between both patient and provider. Now Governments, State and Federal, seeking to reduce the cost of the National Health System have embraced the quantification of Nurse/Carer presence as a way to effectively measure the level of care being provided. In a busy work environment, most carers can only assure their Managers that they have attended to each and every patient according to the patients needs and the time available. Whilst this has been sufficient an acceptable in the past, the desire for more detailed and timely information has led to the development of systems that can record the exact amount of time spent by carers in each patients room. 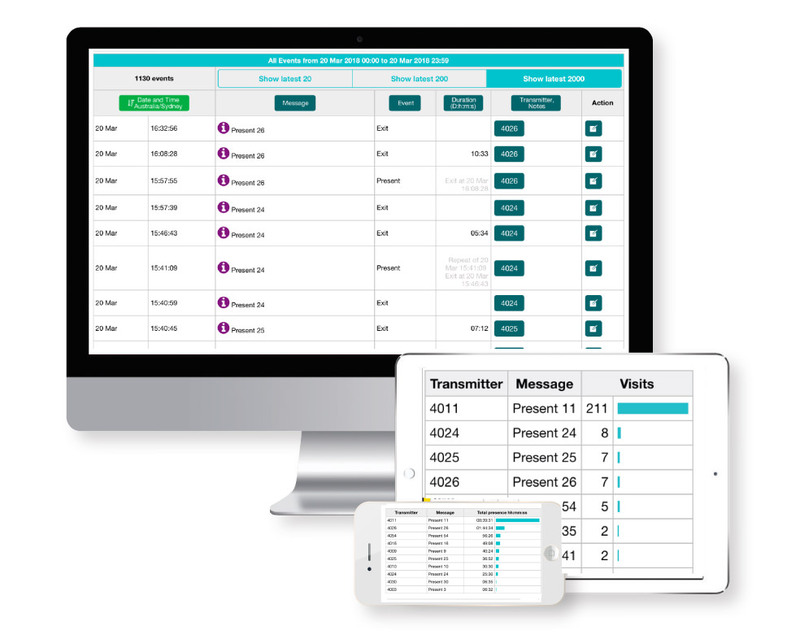 Since the Nurse Call system already records the number, type and duration of calls by patients it is only logical to include this new functionality in the Nurse Call system. This record is achieved when the carer toggles a switch near the door on entry to a patient’s room and reverses that process when they leave the room. This simple turn on-turn off action is recorded by the system and stored within the daily captured data for later reporting. Developing technology will, in the near future, remove the need for a mechanical switch and instead rely on wireless technology built into the badges worn by carers to track their ingress and egress from a patient’s room. Clearly there are many benefits to creating and recording this information. Primarily for the aforementioned justification of funds for patient care. However, the family and friends of the patient will also be gratified to be able to see the level of care provided to their loved one. As mentioned above, the recording of the carer’s movement into and out of the room by the Nurse Call system makes the reporting of the data a relatively easy matter. Data can be examined using the native reporting suite of the Nurse Call system or data can be extracted from the system and analysed using a third party tool (this second option is perhaps the more difficult option). Reports should be made available on a per shift, week and monthly basis and after creating acceptable baselines can be used to benchmark the Facility and its smaller units.